Pyung Kwahn Jahng Nim Jonathan Simonds has been actively involved with martial arts for the majority of is life. He began his career in 1968 and trained in a variety of martial arts until finding Kuk Soo Won™ in the 1980's. In his almost twenty years as an instructor of Kuk Sool Won™ he has helped train more than sixty students to black belt level. 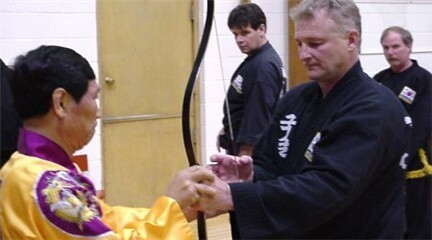 He received promotion to fifth degree black belt (master level) in October 2000.